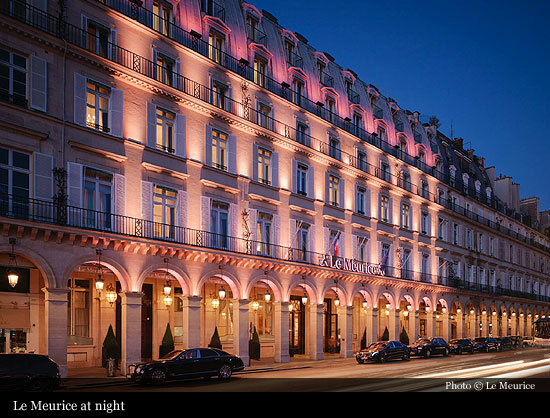 With a prestigious location between Place de la Concorde and the Louvre on the fashionable rue de Rivoli, the legendary Le Meurice has played host to international royalty, fashion designers and countless public figures for over two centuries. The history of the hotel begins in 1771 in Calais, where upper-class British travellers on their way to Paris would arrive after crossing the Straits of Dover. There, an enterprising regional postmaster, Charles-Augustin Meurice, welcomed them to French shores, putting them up in his Calais coaching inn and arranging rides to Paris aboard his coach service. 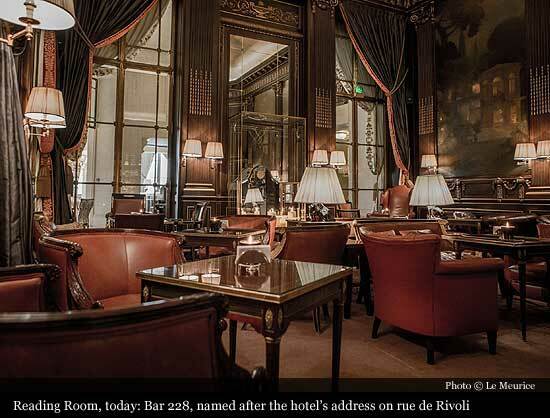 It was a 36-hour trip, and Meurice built a second coaching inn in Paris in 1817 to welcome the weary travellers upon arrival. In 1835, Le Meurice moved to its present site, one of the most fashionable locales in the city, overlooking the historic Tuileries Garden. 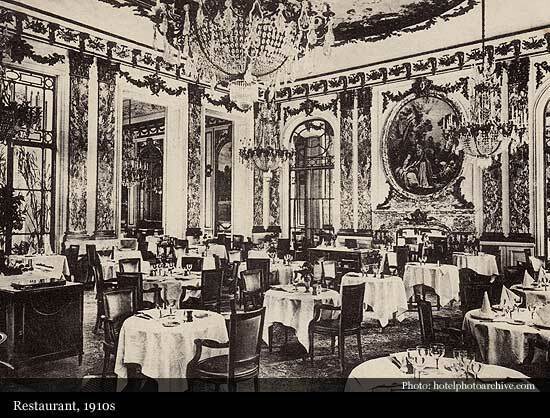 Over the years, the Paris hotel developed a reputation for lavish entertainment, with dinners lasting from eight in the evening until eight the next morning. One guest recalled a luncheon where they only served hard-boiled eggs from the rarest birds, ranging from partridge eggs to swan eggs. The hotel's fame grew during the century. A newspaper clipping from 1855 mentions that Queen Victoria stayed at Le Meurice while in Paris. 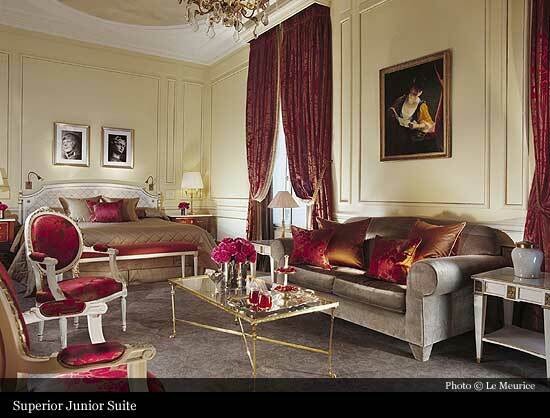 Russian composer Peter llitch Tchaikovsky stayed at Le Meurice when giving a concert nearby. 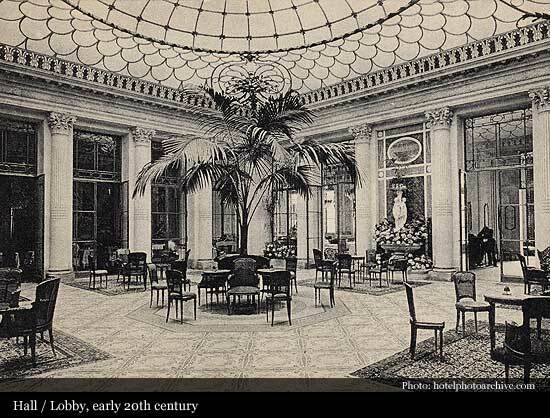 Towards the end of the century, the hotel's regular clients were the elite aristocracy. 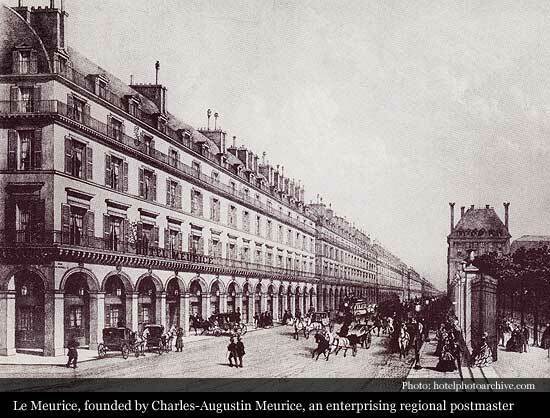 A limited liability company named Hôtel Meurice was formed in 1898 to own and operate the hotel. Arthur Millon, who headed the new company, and his director, Mr Schwenter, responded to the expectations of their privileged guests by providing luxurious facilities and by undertaking a major renovation of the property in 1905. The extensive two-year renovation and enlargement gave the property its modern-day appearance and amenities such as individual private baths. 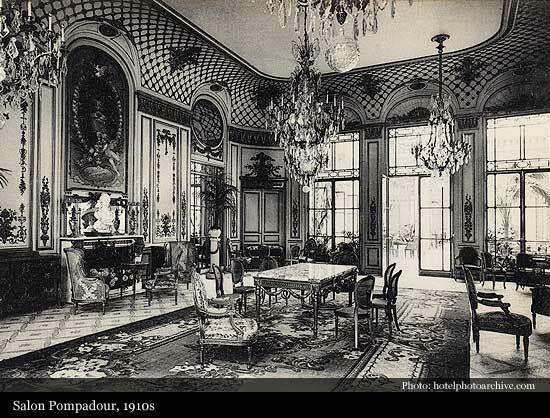 The renovation cost eight million francs - a princely sum for the time. The investment clinched the hotel's appeal to a privileged clientele, however. During the renovation, the workers took in a stray dog, a greyhound. It was adopted by the hotel's personnel and thus became its mascot. A second greyhound was added to accompany the first, forming the emblem of Le Meurice that is still the symbol throughout the hotel today. The King of Spain, Alphonse XIII, was one of the first people to book rooms at Le Meurice after the completed 1905-1907 renovation. He stayed regularly in Suite 106-8, bringing his own furniture. The King of Montenegro, the Prince de Galles, King George VI, French President Doumergue, the Sultan of Zanzibar, the Maharaja of Jaipur and the Grand Duchess of Russia were also regular guests of the hotel, which came to be called the Hôtel des Rois (Hotel of the Kings). 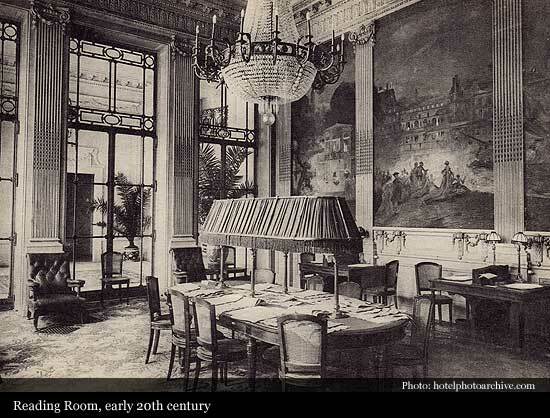 The creme de la creme of Parisian society would gather on the 7th floor of the hotel to dine in the Roof Garden restaurant, or to bask in the natural light streaming through the glass roof of the Louis XVI lounge. 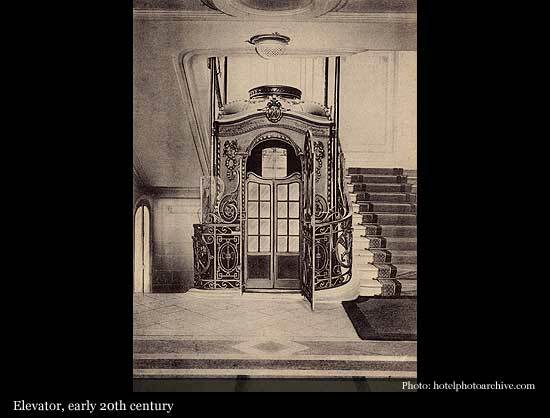 The hotel also organised theatre performances inside the establishment, such as Cyrano de Bergerac in 1912. During World War I, the hotel closed for several months, and it served for a time as a hospital for wounded soldiers. 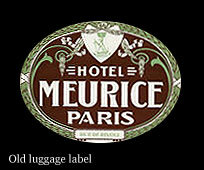 At the beginning of the 1920s, Le Meurice's international reputation sparkled. Media were impressed by the hotel's elaborate Louis XVI decor. Mr Schwenter advertised abroad, helping to develop tourism in France. He was rewarded in 1923 when he became Chevalier de la Légion d'Honneur, and in 1931, an Officier de la Légion d'Honneur. 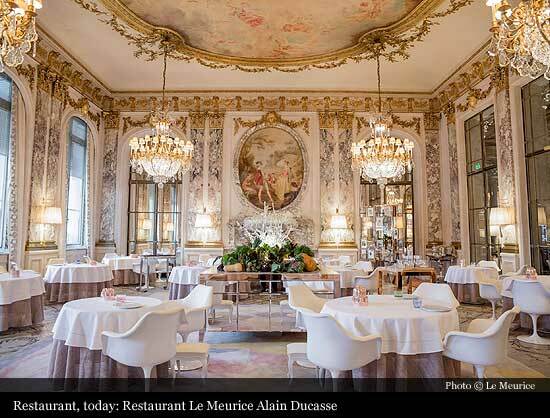 Picasso and his wife Olga Koklova selected Le Meurice to host their wedding dinner. In 1925, there was no hesitation as to which hotel King Albert would choose. Stylish ads from the 1920s showed a conspicuously upper-crust clientele dining and dancing in Le Meurice's rooftop garden, overlooking the glamour of night-time Paris. 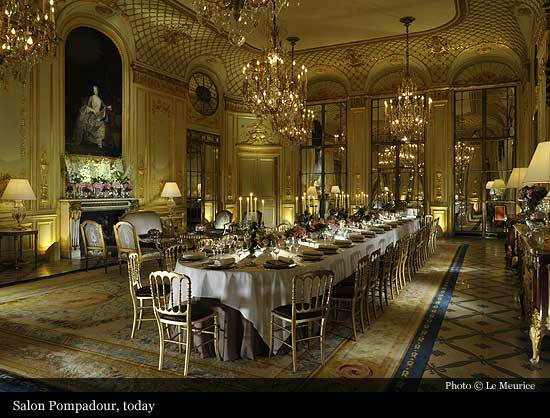 A number of rulers have found comfort at Le Meurice after leaving or being forced from their seats of power. In 1931, after Alphonse XIII was dethroned, he took refuge at Le Meurice under the name of the Duc de Tolede with all of the royal family. 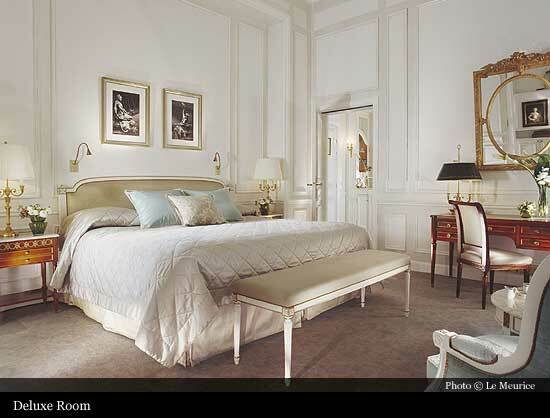 The Duke and Duchess of Windsor also retreated to Le Meurice. The King of Montenegro checked in after being chased from his kingdom, and the Shah of Iran was actually dethroned during his stay at Le Meurice! Until the 1950s, the Parisian press regularly chronicled the comings and goings of aristocracy from countries ranging from Austria to Zanzibar. Famous guests have included President Franklin Delano Roosevelt, the Dukes and Duchesses of Windsor, Kent, York and Marlborough, the Baron de Rothschild, Sir Anthony Eden and the rulers of Belgium, Bulgaria, Denmark, Greece, Iran, Italy, Serbia, Montenegro, Jordan, Romania, Russia and Thailand. One of the hotel's most outrageous guests was the surrealist painter Salvador Dali, who spent at least one month per year at Le Meurice. His behaviour could also be surrealistic: once he demanded that a herd of sheep be brought to his room, and upon their arrival, Dali took out his pistol and shot at them. Luckily, the gun was filled with blank bullets. Another time, he requested a horse. Yet another time, he asked the staff to capture flies for him in the Tuileries Garden, paying them five francs per fly. 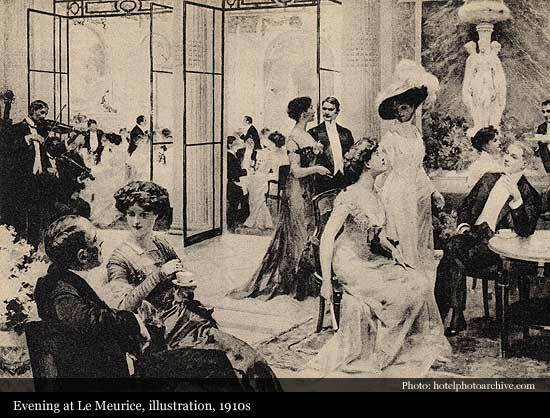 Dali was a regular at Le Meurice. He became close to certain members of the staff, to whom he would give autographed lithographs of his work as a Christmas tip. 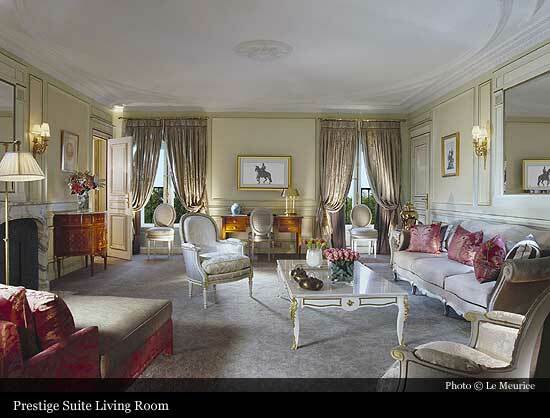 Artists, writers, musicians and intellectuals who have stayed at Le Meurice include Giorgio de Chirico, Rudyard Kipling, Walter Lippmann, Yehudi Menuhin, Liza Minnelli, Seiji Ozawa, Anne-Sophie Mutter and Placido Domingo. Past guests also include film stars and directors such as Orson Welles, Franco Zeffirelli, Fernandel, Mike Todd, Eddie Fisher, Ginger Rogers, Yul Brynner, Elizabeth Taylor and Richard Burton. Le Meurice's sumptuous decor has also been a setting for several films, including Mata Hari and Julia, directed by Fred Zinnemann and starring Jane Fonda. The hotel's salons have hosted many of high society's celebrations, including Coco Chanel's glittering receptions in the 1930s. 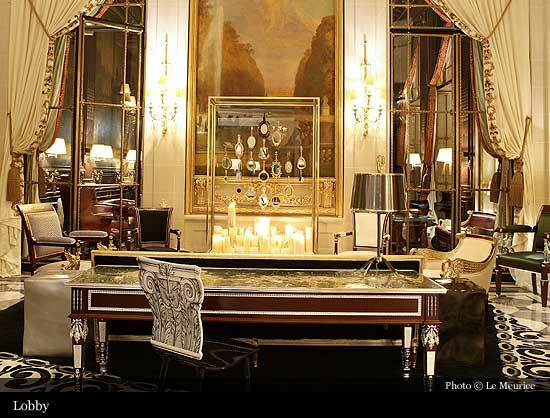 Parisian houses of haute couture, including Chanel and Guy Laroche, have staged receptions and fashion shows in Le Meurice's salons. Today, Le Meurice is the Parisian home to a number of internationally known celebrities and performers who favor the rooftop suite with its panoramic views of Paris. 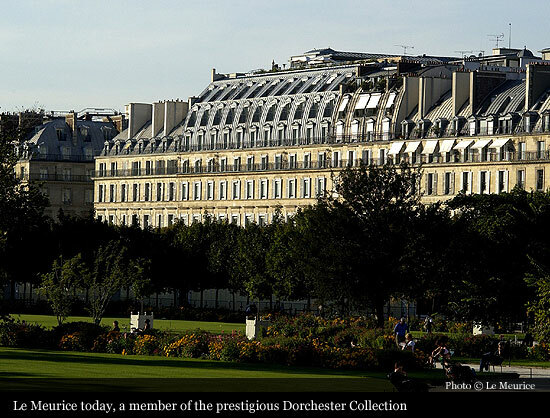 It changed hands several times during the past three decades, and is today a member of the prestigious Dorchester Collection(owned by the Brunei Investment Agency), which includes The Beverly Hills Hotel, The Dorchester in London, and the Hôtel Plaza Athénée in Paris. 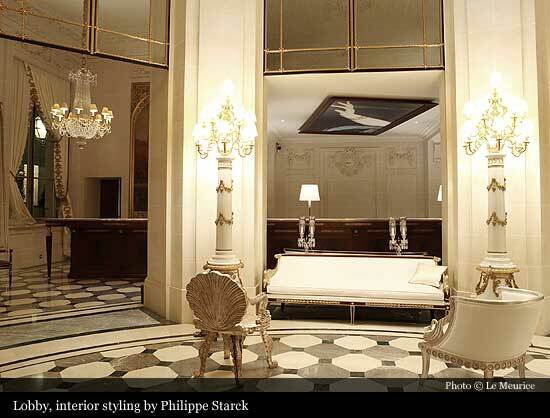 In 2007, the Hotel Le Meurice came to a new embellishment phase with renowned Philippe Starck and his daughter Ara.